I first became acquainted with the Edwin Temple Hickman Family Organization in 1980, when on advice from my Aunt Mildred I visited its Treasurer, a lady named Leona Holt and bought a copy of a book entitled Profiles of William Adams Hickman. A few years later I was visiting my dad's Aunt Eunice in a rest home. She told me I should go to a Hickman reunion and hang around, see what I can learn about them. As the reunion was being held in a nearby park, which also contained a playground, that's what I did, and watched them from a distance while my kids played with their kids and grandkids. an hour earlier, but that they'd left. We hung around trying to size up the remaining Hickmans, then they held an election and nominated and elected me Treasurer, they gave me about $500 from book sales and dues to go and put in the bank. So I guess you might say, that's how I became a Hickman. How did this family come to be? Our story begins with two brothers: "Wild Bill" Hickman and mild-mannered Dr. George Washington Hickman, "the good one." Bill had 10 wives, George had only one. Bill got himself into fist fights and gun fights, George patched the wounds the best he could. Each of them were converts to the "Mormon" church, and each of them should by rights stand at the head of his own family organization, whose children and children's children would hold family reunions. Most of the Hickmans featured on these Hickman Family web pages lived and died long before we came on the scene, and only the very oldest living members of the family had any contact with them at all. Hope Hilton is an exception, because it was she who had the idea of moving the line back a generation to include the family of Edwin Temple and his wife Elizabeth Adams Hickman. She served for over 40 years as family historian and carried research on the Hickman line to the middle ages, and where it connects with royal families in Europe she extended it back to Adam and Eve, the first Hickmans. She also made it so that Hickmans of both families could be pulled together into the same tent, something that had not happened since Josiah Edwin Hickman's efforts in the 1930s. This provides us the opportunity to get to know about brothers Thomas, Warren, Martin, and James. Other brothers and sisters from the Edwin Temple Hickman family can now become familiar to us as they are found. Hope wrote a very readable history of the Hickman Family: Edwin and Elender Webber Chiles Hickman: Some Progenitors and Descendants. Early Pioneers of Virginia, North Carolina, Kentucky, Missouri, and Utah. The book became a best seller among Hickmans beginning in 1967 when it was first published, and went through two more editions, each expanded and improved. With noted historian Leonard Arrington she also wrote, "Setting the Record Straight," (included in Profiles of William Adams Hickman) and the book "Wild Bill" Hickman and the Mormon Frontier. Anyone who attempts to write history realizes you have a collection of facts and dates which you must string together to form a narrative. Hope was pioneering into Hickman family history. She should not be expected to have discovered everything there is to discover and gotten everything right with no mistakes any more than Galileo should have been expected to explain the workings of the universe after a few years spent at the eyepiece of his telescope exploring the night sky. Of us it's expected to get the story straight. "Wild Bill" is a popular term that appears to have come from within the family. Though it may be used to describe him, it likely wasn't applied to him until years after he had died, probably associated with the more famous "Wild Bill" Hickock, the western gunfighter. Another difficulty she had to deal with was the tendency of family members to name their children after their parents or brothers or sisters. This led her to confuse various details from the life of Bill's brother George with Bill's son W. George (compare Edwin and Elender Webber Chiles Hickman, pp. 178-181, to the W. George page, click here). It would be sad if the Hickman story didn't evolve to fit new discoveries, because that would mean that the search for new information has ended, and new discoveries are no longer being made. Hope had the advantage of doing her research during a period of time when many branches of the Hickman family had not lost the remembrance of who they were, and if not for what she did, we would be much, much poorer today. It should come as no surprise to learn that only a small fraction of the results of her probes into Hickman family history was incorporated into her publications. Realizing this, she donated her papers to the University of Utah Library so that the ground she pioneered and staked could be explored and appreciated by later generations of Hickmans. To a genealogist, death isn't such a fearsome thing; it's an invitation to a family reunion. I was born in 1924 in San Pedro, California far from the history contained in William Adams Hickman, Mormon Mountain Man. I am a great granddaughter of the subject. With a graduate degree in history from the University of California at Berkeley, objectivity has been my goal in trying to understand the life and times of "Bill" Hickman. My mother seemed ashamed of her blood tie to William Adams Hickman and never mentioned her grandfather by his full name as I grew up in California. Twice I recall her saying "my grandfather Hickman (no first name), bought Fort Bridger from the Indians." Finally at age <p.8> twenty-one, after reading Essentials in Church History [by Joseph Fielding Smith] on my LDS mission, I asked the crucial question: was the reported "self-confessed murderer" of the book, my Hickman ancestor? My mother, not one to enjoy criticism even of a dead ancestor, became defensive, justifying Bill's actions by saying, "he killed a Mexican who stole his wife, and was excommunicated from the Church." Bill's excommunication occurred more than two years before the shooting death of Mr. Frank Moreno, another family story to die a slow death because of this current research. In August 1950 while living in Chicago, Illinois, my obstretician, Dr. John Olsen, a non-LDS student of Mormon history, on discovering my tie to William Adams Hickman presented me with a copy of Brigham's Destroying Angel and the search for truth regarding this man began. I began by collecting family stories about this man in the 1950s. In 1963 with two others a Hickman Family Organization was started, more stories and legends. The first investigative approach occurred in July 1959 when I returned to the site of my L.D.S. mission in Kirksville, Missouri. There I discovered the Hickman family roots in Missouri. This trip was so successful I spent many hours in the Genealogy Library piecing together the ancestry of Bill Hickman. By 1978 I was ready to collaborate with Leonard Arrington on a short mimeograph history of Hickman. This effort was partly paid for by the Hickman Family Organization. In 1983 I began to concentrate my research specifically on William Adams Hickman, an unusual man who became a victim of his times and environment. After my third trip to Lander, Wyoming, where the burial of Hickman was discovered, I was ready to begin research in the well-known collections of Mormon history throughout the U.S.A. In 1985 and 1986 I visited the Beineke Library at Yale, the Bancroft Library at Berkeley, the Huntington in San Marino, California, and the National Archives in Washington D.C. This led to searches in the Utah Probate records, the Utah Archives, the Brigham Young [University?] Historical Library, the <p.2> L.D.S. Church Historical Library, 1st and 2nd floors, the Iowa Archives in Des Moines, the records of Lee County Iowa, and the records available in Sweetwater County, Wyoming. From these sources I began to perceive a complicated man who was both a lawyer and lawman, a soldier and horse-thief, an envoy of Brigham Young, and the husband of ten and father of 35 children. I feel his role in early Utah history can no longer be denied, good or bad. in brown is merged from Box 4 Folder 8, pp 7-8. Hope Avarell Hilton, age 75, died October 26, 1999 in Salt Lake City, from causes of diabetes and palsy. Hope was born August 15, 1924 in Long Beach, CA as a daughter of Hugo Joseph Averell and Annalee Kohlhepp. She was raised in San Pedro, CA. Always an active member of the Church of Jesus Christ of Latter-day Saints. She taught the youth of the church for 25 consecutive years. She served a mission to the central states after graduating from the University of California at Berkeley with a BA degree in history in 1946. She was a ward Relief Society President in Chicago. After her mission, she moved to Utah in 1948 to attend the University of Utah. She married Lynn M. Hilton in the Salt Lake Temple Dec 17, 1948. She was the mother of five children, the youngest passing away at an early age, allowing her to raise three daughters and one son to maturity. She was always proud of the academic accomplishments of her four children who graduated from Utah schools with honors. Many regarded her as intelligent, well educated, and articulate, forceful, full of faith, philanthropic, a world traveler, author, a great preacher, who was against smoking tobacco and drinking alcohol. She loved the fine arts and was a great sports fan. She channeled her love of history and cultures to the Middle East people, and spent many weeks in Lebanon, Jordan and Jerusalem, with her Arab friends. She spoke Arabic, and learned the art of Arabic cooking. She became noted as an Arabic cook. She lived with her husband in Egypt for four years and Saudi Arabia for seven years. Over the years, 10 students from the Middle East lived in the Hilton home. Most were helped by the Middle East Foundation, a charity begun by the Hiltons in 1968, which assisted 125 students through college over the years. 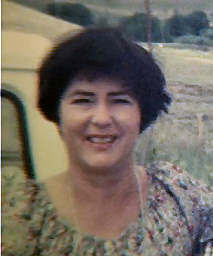 Hope and her husband traveled over the world several times, between 1961 and 1988. In 1975 the Ensign magazine asked them to research the Book of Mormon prophet Lehi, from Jerusalem to Bountiful. This proved to be the highlight of her life and she always enjoyed talking about this unique adventure which was recorded in two books. Hope was the great-granddaughter of territorial pioneer lawman William Adams Hickman. She spent the last 20 years of her life following his trail through Missouri, Utah and Wyoming. This also ended in a book, Wild Bill Hickman and the Mormon Frontier. She is author of 68 additional manuscripts and titles. She was a prolific letter writer to hundreds through the years. She believed in community service and was a trustee in the Sugar House Community Council for many years, serving also as a volunteer at the Daughters of the Utah Pioneers museum, Travelers Aid, and in the Women's Republican Club of Salt Lake City. Her special projects were city parks and park improvement, including the monument to the territorial prison erected in 1988 in Sugar House Park. She is survived by her husband Lynn; her four children: Cynthia (Vic) Bowman of Arlington, VA; Polly (Mike) Richardson of Seattle, WA; Sheree (Blaine) Anderson of Logan, Utah; and Ralph (Barbara) Hilton of St. George, Utah; and 14 grandchildren. Hope's funeral [was held] 11 a.m. Monday, November 1,  in the LDS Edgehill Second Ward Chapel, 1889 South 1700 East Street, Salt Lake City, Utah. There [was] a viewing one hour before. Also a previous day viewing on Sunday October 31, 6 to 8 p.m. at Larkin Mortuary, 260 East South Temple St., Salt Lake City. Interment [is at] at the Salt Lake City Cemetery. For a 1963 paper by Hope on Edwin Temple Hickman and his ancestors, click here. To see a register of Hope's papers at the University of Utah, click here or here. To see a description of Hope's collection of photographs at the U of Utah, click here. To search the University of Utah photograph collection, click here. To learn more about Hope's mother, Analee Skarin, click here.